Building A Historic Athletics Activation. How we helped UK HealthCare and Big Blue Nation break a Guinness World Record. A successful athletic sponsorship activation isn’t simply about putting your name out there. Great activations create an experience, rooted in the shared identity of your brand, the team and the fan base. But it’s a delicate balance in execution. If the activation lacks authenticity, distracts too much from the competition itself or is overly self-serving, it risks becoming off-putting to fans. This is especially tricky when you consider Big Blue Nation, the most passionate sports fan base in the world. 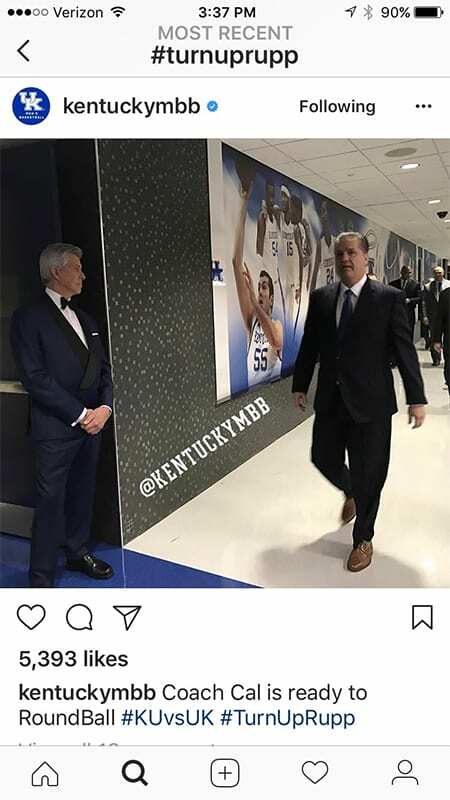 But as we partnered with UK HealthCare to bring their presenting sponsorship to life for a midseason matchup between the Kentucky and Kansas , it was a challenge we were more than ready to accept. Kentucky’s Rupp Arena is one of the world’s great sports venues and home to the greatest tradition in college basketball. 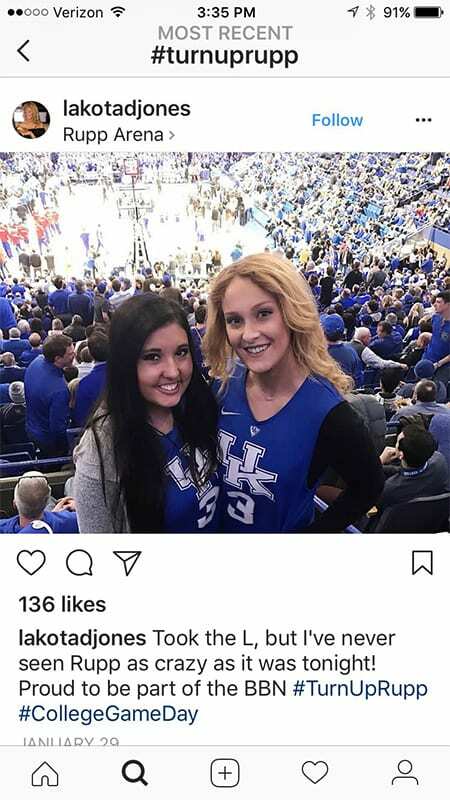 With the attention and energy that would surround a regular season matchup with a fellow blueblood like Kansas, we had a unique opportunity to put the UK HealthCare brand in the middle of something special. So we thought big. 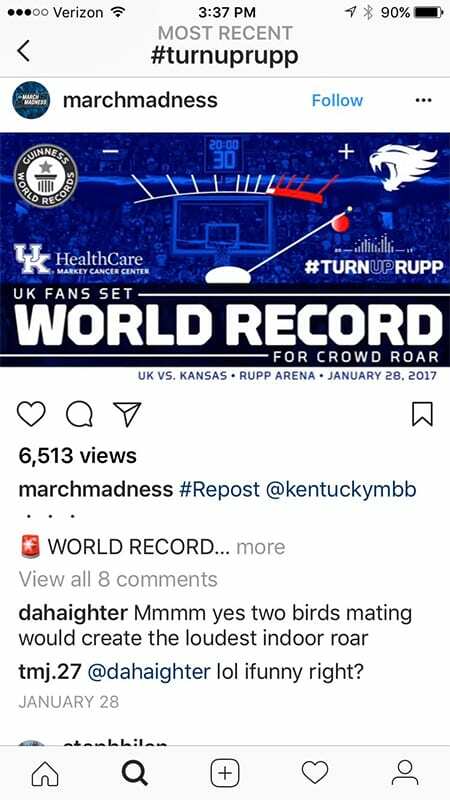 We believed for this occasion, the Guinness World Record of “The World’s Loudest Indoor Crowd Roar” should belong to Big Blue Nation and Rupp Arena. There are few environments that can match the spectacle of a major matchup at Rupp. So, aligning with UK Health Care’s “The Power of Advanced Medicine” positioning, we set out to prove the power of Big Blue Nation as the country’s loudest fans, only adding to an already electric atmosphere and validating the intense home court advantage at Rupp. #TurnUpRupp became our rallying cry for fans. And rally it did. To the tune of 126.4 decibels, a new Guinness World Record. 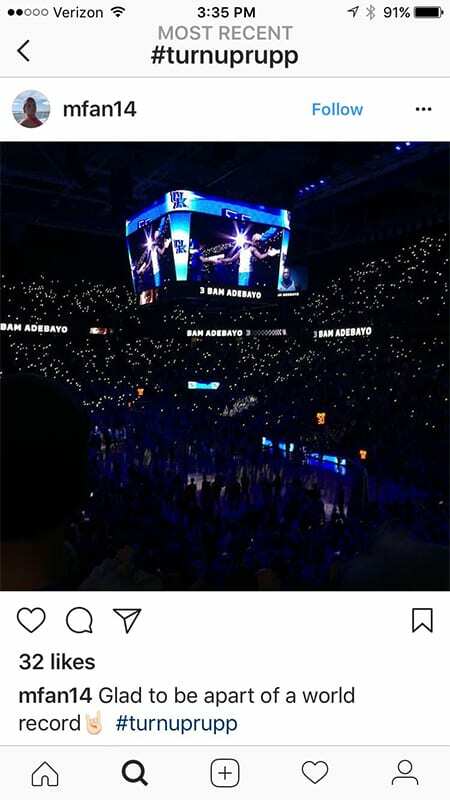 It truly was a spectacle, aided by the legendary Michael Buffer delivering an introduction, Lexington’s own Steve Zahn amping the crowd and nearly 24,000 members of Big Blue Nation cheering until they turned (more) blue. A Guinness judge verified the record, which was set just before tip off. 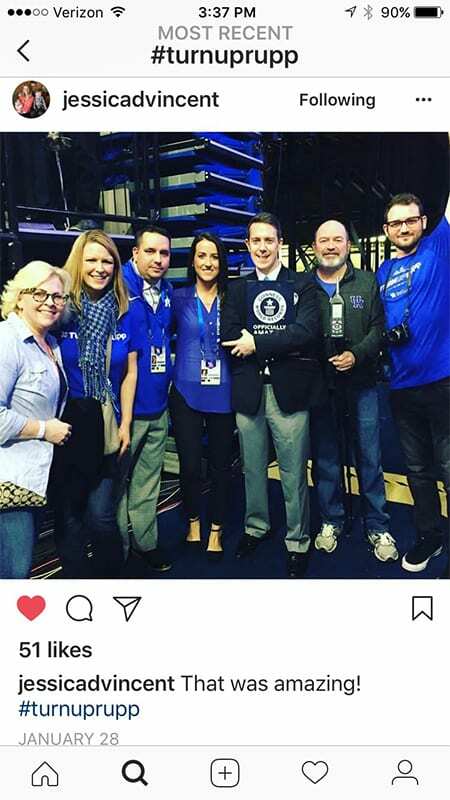 A second-half presentation of the record at mid-court created a dual celebratory moment—Big Blue Nation earned itself a verified Guinness World Record and UK HealthCare, having led the effort, received a triumphant moment aligning with the identity of their audience. The activation garnered national media coverage, before, during and after the game, including stories from Sporting News, USA Today and CBS Sports. In the quick-turn promotion of the attempt and promotion, we saw 5,000+ #TurnUpRupp hashtag mentions over the course of just two days, sparking enthusiastic conversation and engagement across Big Blue Nation. “We all knew it seemed ambitious. But the more and more we explored the idea, the more it made sense. Big Blue Nation takes so much pride in being one of the most passionate fan bases in the world. So a chance to further validate that, we thought, is always going to be embraced. We loved the opportunity it presented to make a big statement for our client, as our main objective really was to raise awareness for UK HealthCare. Rebranding a leading stud farm. How we shaped a formidable brand identity for a Thoroughbred industry leader. We love a good challenge. Got one?